Lighthouse enthusiast Peter Westaway of Ontario has donated $550,000 toward the restoration of the Sheringham Point Lighthouse, the largest-ever private donation to a lighthouse in Canada. Located on a rocky outcrop in Shirley on Vancouver Island, the Lighthouse was constructed at the entrance to Juan de Fuca Strait in 1912. The structure (along with 11 other lighthouses) was built in response to the wreck of the steamship SS Valencia in 1906, one of the estimated 240 ships that perished on the Island’s treacherous coast. William P. Anderson, a prolific lighthouse architect retained by the Fisheries and Oceans Canada, designed the 20-metre hexagonal structure. 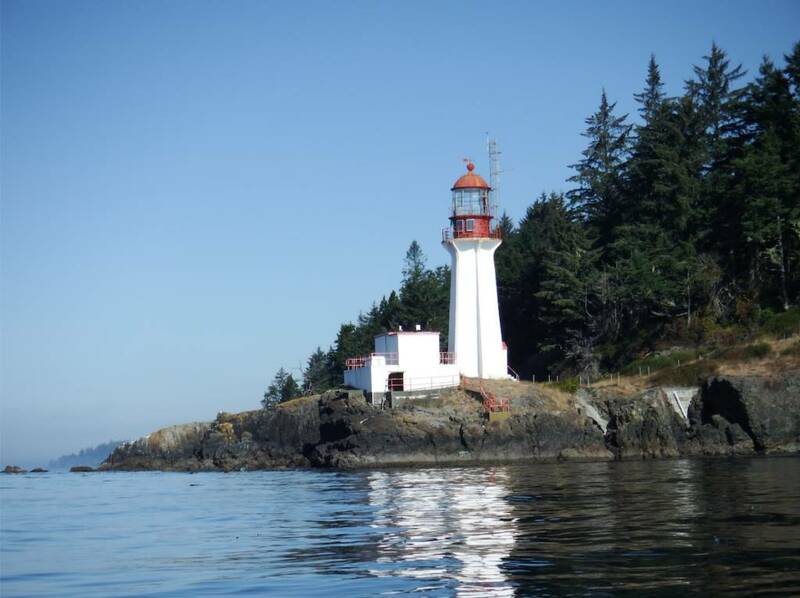 For more than a century, the lighthouse has served as an important landmark guiding mariners entering the often turbulent and foggy waters of Juan de Fuca Strait. But it suffered the same fate as many lighthouses as automation began to replace lighthouse keepers; Sheringham was destaffed in 1989. With no one providing safety or maintenance, the buildings were vandalized and the relentless waves, salt, sun and wind ate away at the site’s infrastructure. In 2003, the Canadian Government declared that the lighthouse site, among many others, was “excess to its program requirements,” and the first step in divesting its responsibilities for maintaining the historic edifices. In response, six Shirley residents, Michael Galizio, Bobbi Metzger, Terri Alcock, Dominique Bernadette and Rob and Karen Van Veen, created the nucleus of the Sheringham Point Lighthouse Preservation Society, a group that now has more than 300 members. They got a boost after Senator Pat Carney, now retired, relentlessly and successfully pushed a private member bill—the Heritage Lighthouse Protection Act—through Parliament in 2008. It allowed local groups to seek heritage status for their lighthouses.